Electronically submitting your tax return (e-filing) is often faster, more convenient, and actually more secure than paper filing. However, if you are going to e-file, you should have your taxes done by a professional of your choice. This could be your CPA or just a tax preparation service or accountant. Not everyone needs a CPA or even an accountant to do their tax preparation. If your taxes are simple or you have the knowledge, you can prepare them yourself. There are many very good software packages as well as online services with tax software. However, get professional advice if you have any uncertainty about your tax situation. Remember, you are responsible for your filing even if you use a tax service or tax software. If there is a mistake, you will still be responsible for it and any penalties associated with the mistake. A benefit of electronic filing is that you receive verification from the IRS that your tax return has been received. Whenever you mail your return, there is the possibility, usually small, that it will be lost or delayed in the mail. In the rare case that the IRS does not accept your tax return, you will get a rejection notice. The verification or rejection notices are sent within 24 hours of your e-filing. If you get a rejection from the IRS, they will tell you how to fix your tax return so it can be accepted and refiled. E-filing has the benefit of being processed faster. This means any refund you are entitled to also gets processed faster! When you e-file, the IRS does not have to sort your return at a service center and this reduces the chance there will be a mistake in processing it. Not everyone can e-file. Some tax forms are not available online. Some forms have specific limitations as well and may not be accepted electronically. If you need to add PDF attachments or statements. If the "additional information" part of your form doesn't have sufficient space. Returns for those that passed away. Filing before e-file starts (January 28) or after e-file ends (October 20). Paper filing may be the best option if you are not eligible for e-filing. Be sure your name and social security number are on every page, front and back. Double-check your address. This is the address where the IRS will send your refund and any notices or requests for further information. If you are planning to move, consider getting a short-term PO Box or use another address that you can trust (perhaps a close relative). Always double-check your calculations on the tax form you submit. Math errors are the number one reason why the IRS alters or rejects a tax return. Send your tax payment with your tax return as early as you possibly can. The IRS will accept the paper filings postmarked by April 15. Earlier is always better and safer. In need of quick cash to help pay a small tax bill? 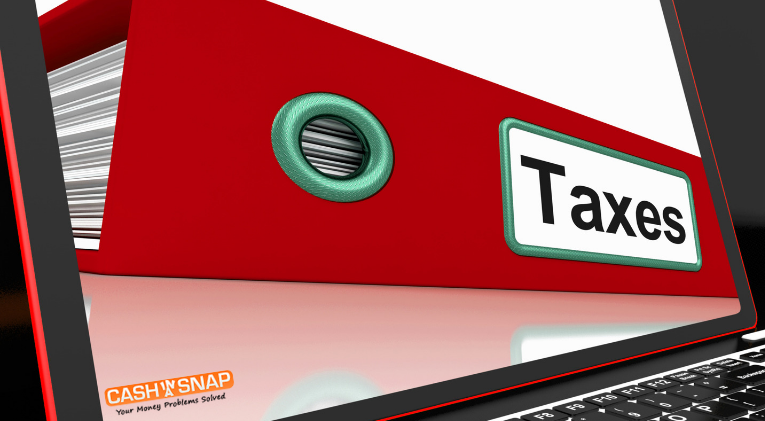 If you tried other resources and have no options, try a quick cash tax loan with CashinaSnap. Related Reading: When Should You Expect Your Tax Refund in 2019?